Picked this up in a charity shop a while ago… just for the cover, but it’s got a picture story inside called “A Scooter to Sydney” which I might get round to scanning in one day! 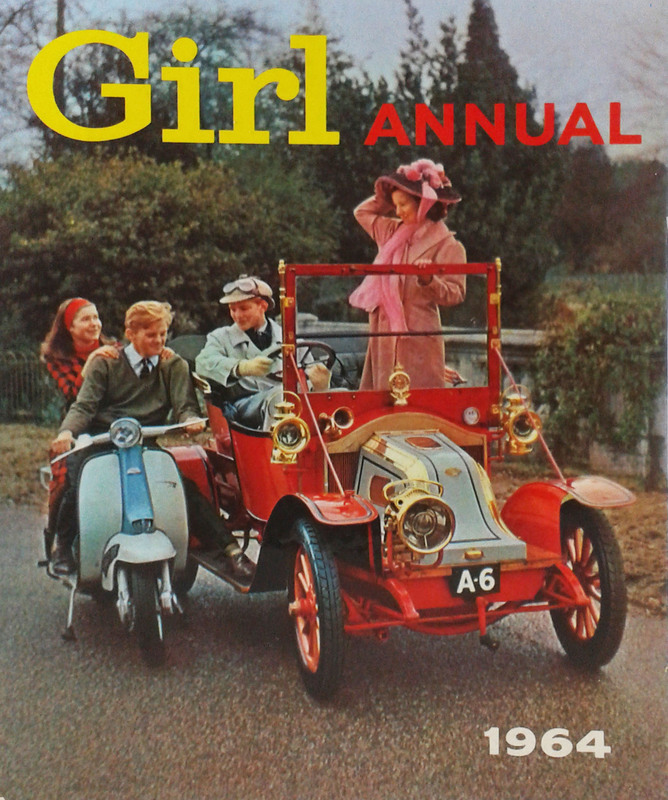 This entry was posted in Ephemera, Scooters and tagged 1964, book, Girl Annual, Lambretta, photography, Series 3, vintage by crocodilejock. Bookmark the permalink.